I don’t obsessively look at my blog stats. It’d be kind of depressing if I did to be honest. I’m so glad I don’t do this for a job or I’d be beyond broke. Anyway, sometimes things jump out… like when 53 people hit the site looking at a page that’s from 5 months ago. It got me curious why this odd combo would come up. So, I did a web search. Turns out the Daily Mail is doing a story on the cute little rump shakers. Which is very fortunate for them because my post is MUCH better than that of the stodgy old Daily Mail. Not quite as informative as say this one about the Thousands of Spiders Found in Family Home of course. Or as celebrity focused as Pop Star Finds Spider In Her Ear. Or as funny as the Wood Spider. Still, I think it was pretty good. Good lord I post too much about spiders. I hate those creepy crawly little bastards. The Internet gets taken over by the Federal government through top secret, unpublished “Net Neutrality” rules imposed by THREE bureaucrats and hardly anyone bats an eye. 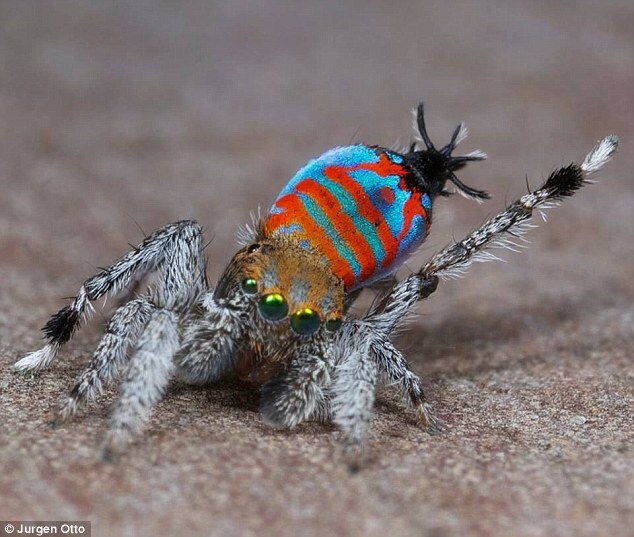 But post a picture of a cute spider and everyone goes crazy. Must be the Kim Kardashian of the animal kingdom. Look at the abdomen on that one… shake it shake it. Looks like any bar on a Friday night. Yuk Yuk!